Prevention of inhalant abuse is the goal. This involves the entire community, including healthcare professionals, teachers, parents, peers, law enforcement and retailers. This section provides information for nurses to assist in the education of others. According to Wu, Pilowsky, & Schlenger (2004) early use is associated with progression to abuse and dependence, prevention programs should target elementary school-age children. Children need to be made aware of “Good Smells” (Ex. cookies baking). and “Bad smells” (Ex. Gas). Children who have used inhalants have said, “I had no idea that breathing in these products could hurt me”. Byykowski (1999) quotes Dr. Milton Tenenbein, who wrote the American Academy of Pediatrics' Committee on Substance Abuse policy statement on Inhalant abuse Dr. Tenenbein recommends starting anticipatory guidance early; 6-year-old children are not too young to be taught the dangers of inhalants. Dr. Tenenbein, is professor of pediatrics and pharmacology at the University of Manitoba, Winnipeg. The NIDA website, Mind over Matter, has additional information on the effect of inhalants on the body. It is oriented for patient education, particularly for youngsters. Parents frequently deny that inhalants could be a problem in their families, schools or communities. According to Cook (1999) rural communities may deny the existence or extent of addiction, so that awareness of inhalant use may be minimal. According to the American Academy of Pediatrics (2005) some states have laws to try and deal with inhalant abuse, such laws are not always easy to enforce. Since inhalants are legal and kids can get them from so many different ways, it is not possible to make inhalants entirely off-limits. The Academy recommends the best way to fight inhalant abuse is to educate children about how harmful these products are. They advocate explaining how they can cause short- and long-term health problems, further drug abuse, and death. They recommend talking with children at a young age, because inhalant abuse often starts as young as 8 or 9 years old. Parents and teachers should also be able to recognize the warning signs of inhalant abuse. Set a good example at home. As a parent, you are the best role model for your child. Parents who use drugs also place their children at higher risk for drug use. Build self-esteem and confidence. Praise your child often. Encourage your son or daughter to set goals and make decisions to achieve them. With each success and your constant support, your child will become more confident in what he or she can do. Children with self-confidence feel good about themselves without needing drugs. Help your child develop different interests. Encourage your child to read, have hobbies, play sports, or join clubs. These activities can keep your son or daughter from using drugs out of boredom or from having too much free time. Young people will find that they can have a lot of fun and feel good without drugs. Take an active interest in your child's interests and in his or her friends. Help your child resist peer pressure. Being independent and self-confident can help your child resist pressure from friends to abuse inhalants. To foster independence, show confidence in your child's ability to make his or her own decisions. Encourage your child to make his or her own judgments, no matter what friends or others say or do. The American Academy of Pediatrics (2000) provides parents with the following guidelines to help them prevent their child from turning to inhalants and other drugs. Please visit the site, and be prepared to answer a question about steps to prevent your child from using drugs. Youth frequently use on school property or in the classroom. Examples include youth who paint their fingernails with typewriter correction fluid then sniff their fingers all day, soak their sleeves in solvent and sniff away, or place solvent in an empty soda can. Peers and educators are not aware that inhaling is occurring next to them. Teach about oxygen's importance to life and body functioning. Discuss the need for parental supervision and adequate room ventilation for cleaning products, solvents, glues and other products. Be a good role model; let students see you reading labels and following instructions. Define and discuss the term "toxic"; students can practice reading labels and following instructions. Teach about oxygen's importance to life and functioning, with emphasis on body systems and brain functions. Discuss the need for parental supervision, following directions and adequate room ventilation. Discuss and discourage "body pollution" and introducing poisons into the body. Discuss negative effects of oxygen deprivation. Discuss environmental toxins and personal safety issues. Describe and discuss implications of other gases replacing oxygen in the blood. Describe and discuss short/long-term effects of inhaling toxic products. Describe and discuss negative effects of volatile chemicals on fatty brain tissue. Where appropriate, offer access to counselor or other qualified professional. 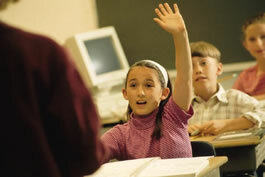 Be ready to answer a question about the Do's and Don'ts to school-based prevention programs.